Lee Min-Ho is Bench Clothing's Newest Korean Endorser? After finally riding the Korean Wave with Super Junior's Siwon and Donghae as their first Korean Celebrity endorsers, Clothing giant Bench dropped hints that they will add more into their roster of Korean Celebrity endorsers. 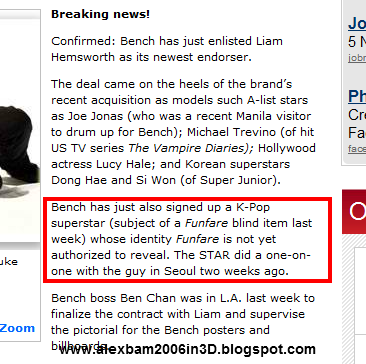 Last June 23, 2012, An article in Ricky Lo's Funfare in the Philippine Star caught the attention of some Kpop fans as the article dropped hints that a new Korean endorser has already signed up with Bench Clothing. On the article about Liam Hemsworth becoming Bench Clothing's newest Endorser, Bench confirmed that they indeed signed up another K-Pop Superstar as part of their growing number of International endorsers. The only clue given is that the new K-Pop Superstar Bench Clothing endorser was interviewed by Philippine Star in Seoul a couple of weeks ago. As this clue is very vague, AlexBam2006in3D did a little research to get more clues to this blind item. Based on the clues, it was obvious that this new Korean Celebrity endorser for Bench Clothing is non other than Lee Min-Ho. 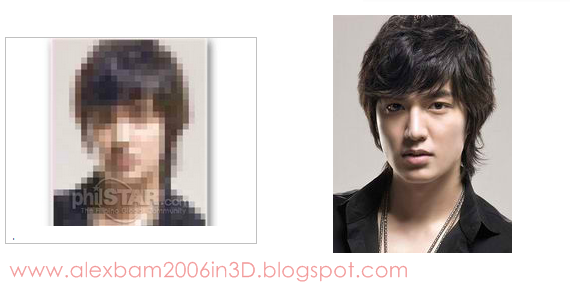 But here at AlexBam2006in3D, We confirm and re-confirm, So we researched about Lee Min-Ho and found this photo online which practically confirms all the clues given above. All we need now is an official announcement from Bench Clothing and we'll definitely see the new campaign for the Clothing company in the streets and stores all around the country. But for now, all we can do is wait. For updates like AlexBam2006in3D on Facebook Today! 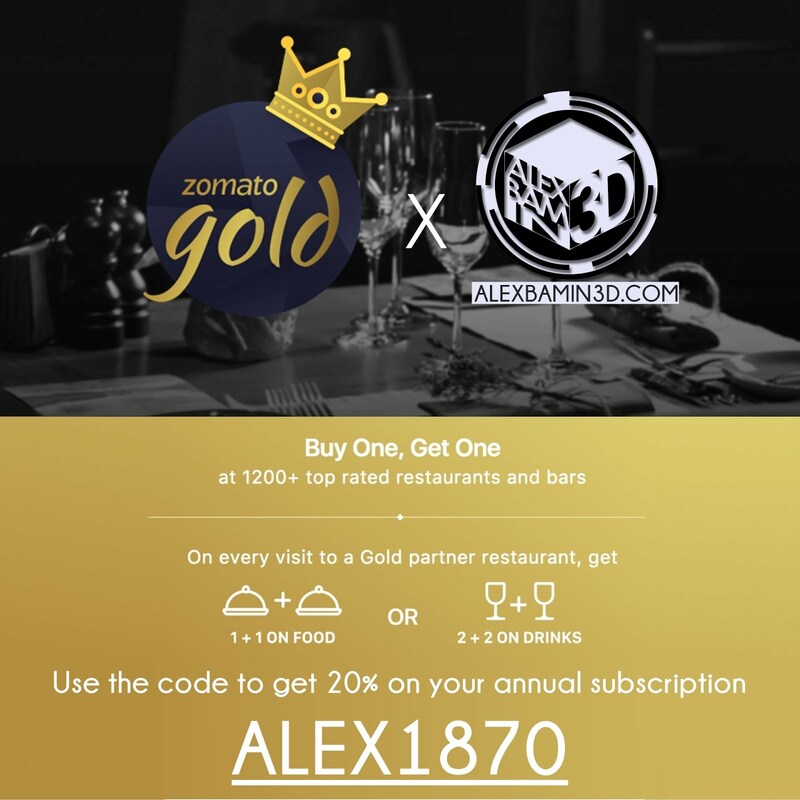 Let ALEXBAMIN3D and Zomato Gold Philippines help you enjoy unlimited 1+1 on Food & 2+2 on Drinks with Zomato Gold, an Exclusive Members Club! Just use the code ALEXB1870 when you sign-up to 20% off on your subscription! 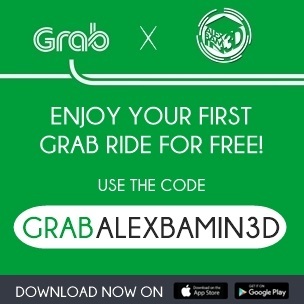 treat you on your first ride! when you sign-up for an account! Prescription Glasses Under 1,000 Pesos? Making Fiesta Extra Special with Clara Ole!  All contents of this website including text and images are owned by Alexbamin3D.com unless stated otherwise. Do not copy, distribute, and reproduce without consent. For any concern, please go to the Contact Us page.